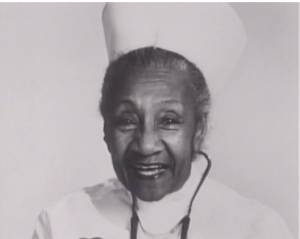 In 1955, blues and jazz legend Alberta Hunter decided to begin a second career as a nurse after reaching the pinnacle of a music and theater career spanning more than 4 decades. Yet, she was turned down when she first applied to the School of Practical Nursing at the Young Women’s Christian Association branch in Harlem. The director of the school told her that she was simply too old to become a nurse. Undaunted, she applied again, this time with a fake birth certificate and high school diploma that understated her actual age by 12 years. She then graduated from the YWCA LPN program in August 1956 and went on to work as a nurse at Goldwater Memorial Hospital in New York until she was forced by the hospital to retire in 1977 at age 82 (although the hospital staff actually thought she was 70). By all accounts, she was an excellent nurse who was adored by her patients and coworkers and whom, during her 20 years at Goldwater Memorial Hospital, never missed a single day of work or was ever late to a shift. These days, older nurses and nursing students have it much easier than Ms. Hunter. 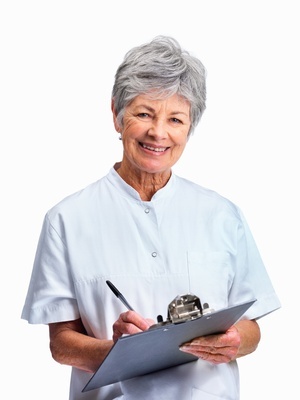 While ageism and age discrimination is still as much of a problem in the nursing field as it is in other fields, it has clearly declined and older nurses and nursing students can expect a much more welcoming environment and workplace than they could have 60 years ago. Annell Farris, the most recent winner of the Nursing Jobs Nurse Photo Contest, was 59 years old in 2008 when she graduated from the School of Nursing at John Hopkins University and began working as an operating room nurse. In a recent Youtube video, Nurse Awesome outlined some of the advantages of being an older nursing student. As technology changes, nursing transforms its model of patient care. With the advent of personal digital assistants, smartphones, tablets and pocket-size computers, nursing has had to integrate new tools into its practice in order to provide better, safer patient care, improve patient outcomes, and communicate better with other members of the healthcare team. The Institute of Medicine and the Robert Wood Johnson Foundation have released a landmark report, The Future of Nursing, Leading Change, Advancing Health, which issues recommendations for nurses to effect positive change in health care delivery. Each recommendation offers an opportunity to use IT tools to improve the quality, efficiency and safety of patient care. Recommendation 1: Remove scope of practice barriers. 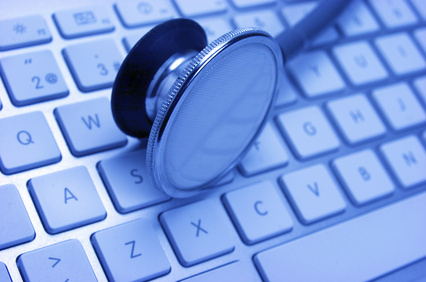 Extending authority and reforming practice acts will enable nurses to receive incentive payments from Medicaid for “meaningful use of electronic health records” (EHRs) as provided in the Health Information Technology for Economic and Clinical Health Act, which is part of the American Recovery and Reinvestment Act of 2009. Under the Act, nurses are classified as “eligible providers,” which means nurses can use EHRs to collect and exchange patient information, resulting in better care and outcomes. Recommendation 2: Expand opportunities for nurses to lead and diffuse collaborative improvement efforts. Nurses need to take a more active role as leaders of healthcare teams, whether in research, design of practice environments, or sharing best practices. When implementing new technologies, nurses should track the impact the changes have on delivery of care in order to provide positive and negative feedback to the design team. Recommendation 3: Implement nurse residency programs. Whether a nurse has just received her license or has earned an advanced degree, nurses need time to master the skills and knowledge of a new role. Technology can assist nurses in learning new competencies by using electronic patient simulation tools, which require critical thinking skills and psychomotor skills while providing experience with using EHRs. Recommendation 4: Increase proportion of nurses with BSN degree to 80 percent by 2020. This goal represents a 30 percent increase overall in the number of BSN-prepared nurses. Distance learning is a valuable means towards this end, given its flexibility. Distance learning also reduces the cost factor of higher education, which enables more students to take advantage of educational opportunities. Recommendation 5: Double the number of nurses with a doctorate by 2020. The faculty shortage in U.S. nursing schools is responsible in part for the nursing shortage today. Again, technology can help by offering online education opportunities as well as providing opportunities for information-sharing and collaboration. Recommendation 6: Ensure that nurses engage in lifelong learning. In order to stay current in their field, nurses need to learn new technologies and competencies and integrate them into their practice. Recommendation 7: Prepare and enable nurses to lead change and advance health. All nurses need to embrace technology, whether it is being used at a patient’s bedside or in a nurse leadership position. The nurse informatician must take the lead in a strategic and operational role to bridge the gap standing between clinicians and technology. The nurse informatician gathers input from clinicians, designs an efficient workflow and tracks the results. Recommendation 8: Build an infrastructure to collect and analyze healthcare workforce data. Data that is not organized in the best possible way wastes time, effort and money. Nurses need to keep an eye out for inefficiencies and either propose change themselves or seek out experts to keep an organization’s IT systems current. The recommendations in this report have been a sort of call to action for the 3 million nurses in the U.S. to embrace and integrate health IT into their daily practice. The long-standing goal of health IT has always been to improve patient care and outcomes, but it can also affect nursing education, research, leadership and policy, ultimately improving nursing as an art and science. Practice makes perfect and nobody is a perfect nurse right away. So it would be nice if nurses could make their rookie mistakes on virtual patients rather than real ones. The University of Minnesota School of Nursing is helping to develop a bunch of computer games that allow that kind of practice for nursing students, the Minnesota Daily reports. A clinical professor at the U of M named Tom Clancy (apparently no relation to the novelist) is working with the software company VitalSims and local hospitals to develop serious educational tools that would take their place alongside similar tools used by the military, for example. Simulation is not new in health care — many nursing schools have fancy robot “patients” that are getting more and more sophisticated. They can be mighty expensive, though. Games are more cost-effective and are able to provide an extremely wide variety of practice situations. Users can train for really complex situations or stick to the basics, according to their needs. Clancy said gaming is not set to replace any of the familiar components of education, but it will supplement book work and lectures. “Every time you go from one modality to another, you’re doing a different kind of learning,” he said. Clancy said adding gaming to students’ curricula may seem inefficient, but it reduces the time needed in other educational settings. VitalSims’ CEO Chris Duncan cited a 2008 study that showed serious gaming to assist information retention 91 percent more effectively than lecture attendance. Clancy opened an early version of his program and chose “Myocardial Infarction” (heart attack) from a list of injuries and ailments on the game’s main menu. “You’ll have to excuse the graphics; they’re kind of old,” Clancy said. The heart attack mission opens with a cutscene, or non-interactive scripted event, in which two identical nurses banter before entering the emergency room. Soon after, they enter the ER, and from then on it’s strictly business. The game is played from a first-person perspective, with the player positioned over the patient. Intense music accents the time pressure, as do occasional comments from the assistant nurse. There is a “toolbox” at the bottom of the screen in which the player selects from an array of instruments divided by category. Clancy used his magnifying glass by finding it in a sub-menu and dragging it to the patient’s mouth. When he determined she wasn’t breathing, he opened a another menu, equipped an oxygen pump and selected the appropriate rhythm from a list. He then equipped a heart monitor, which brought up a cardiogram on the side of the screen. Next he demonstrated the scoring system by purposefully administering random drugs and using incorrect instruments. The patient eventually died. These games will include multiplayer and cover a wide variety of cases, hopefully ensuring that students are given breadth of experience, Duncan said. He said cultural considerations are also planned, such as settings that account for different languages and religious beliefs, which will help make it more accessible. There will also be leaderboards, which Clancy said he believes will encourage students to improve through competition. The new games are part of a growing trend of using gaming for professional development. Linda Olson Keller, another professor of nursing at the University, is supportive of Clancy’s and the MHA’s project. She described a similar initiative by the U.S. Centers for Disease Control and Prevention to use games to promote public health. One game, called HealthBound, challenges players to solve health-related problems and then scores their results and encourages them to get involved in various community programs. Another, from the Chicago Department of Public Health, is designed to prepare players for a possible anthrax outbreak. Clancy foresees games becoming commonplace in other fields. A health care professional may have the best possible technical skills, and encyclopedic knowledge, but one more element is needed to be truly effective: empathy. Studies have shown that this important attribute has been declining amongst nursing and medical students. The benefits of empathy go far beyond the exam room. Greater empathy levels is associated with fewer medical errors, better patient outcomes, more satisfied patients, and fewer malpractice claims. Traditionally, empathy has been thought to be inherent — you have it, or you don’t. This article in the New York Times looks at some of the new research that indicates that it can be taught. Building on research over the last decade that has shown that empathetic observers have brain activity, heart rate and skin electrical conductance that mirror those of the person undergoing the emotional experience — observing a friend’s hand getting slammed in a car door, for example, causes us to flinch because an image of the accident gets mapped onto the pain and threat sensors in our own brain — Dr. Helen Riess, director of the Empathy and Relational Science Program in the department of psychiatry at the Massachusetts General Hospital in Boston, created a series of empathy “training modules” for doctors. The tools are designed to teach methods for recognizing key nonverbal cues and facial expressions in patients as well as strategies for dealing with one’s own physiologic responses to highly emotional encounters. In one lesson, for example, doctors watch a video of a tense exam room interaction while a striking graphic sidebar records the electrical skin conductance of both patient and doctor, the mismatched spikes peaking as each person’s frustration with the other escalates. Another lesson walks doctors through a series of pictures of a patient whose face expresses anger, contempt, happiness, fear, surprise, disgust or sadness. To test the effectiveness of the lessons, Dr. Riess and several of her colleagues enrolled about 100 doctors-in-training and asked their patients to evaluate their empathy, based on the doctor’s ability to make them feel at ease, show care and compassion and fully understand patient concerns. Half of the doctors then took part in three one-hour empathy training sessions. Two months later, the researchers asked a second group of patients to evaluate all the doctors again. They found that the doctors who had taken the empathy classes showed significant improvements in their empathetic behavior, while those who had not actually got worse at empathizing with patients. Responses to this study have so far been enthusiastic, in part because it is one of the first to rely on patient evaluations of empathy rather than physician self-assessment. “The holy grail of this kind of research is whether patients think doctors are empathic, not whether the doctors think they are,” Dr. Riess said. She and her colleagues plan to expand their research and offer the training to more doctors, as well as to nurses, physician assistants and others. Curious to know whether the empathy course worked, I decided to try out what I had learned in researching this column. The next day at the hospital, I took extra care to sit down facing my patients and not a computer screen, to observe the changing expressions on their faces and to take note of the subtle gestures and voice modulations covered in the course. While I found it challenging at first to incorporate the additional information when my mind was already juggling possible diagnoses and treatment plans, eventually it became fun, a return to the kind of focused one-on-one interaction that drew me to medicine in the first place. Five years ago, philanthropist Betty Irene Moore donated $100 million to the University of California – Davis, moving the School of Nursing from dream to reality. This week, the first group of nurses will graduate from the program. 25 students who were recruited for their talent and whose education was fully funded by scholarships will be graduating. The hope is that they represent a new breed of well-educated nurses who will transform the health care system. Young called this year’s class of graduating nurses “just a beginning.” Already another 25 students are queued up for the next two years, with more than 30 percent of them coming from underrepresented ethnic communities. The school also enrolls doctoral students in a four-year program. Young said she was drawn to the position of dean because she, too, was inspired by the vision of Betty Moore. The story of how Moore decided to commit $100 million over 11 years to a new school of nursing is a tale of personal belief in change. Moore had been in a hospital and experienced a medication error. A nurse had insisted she take a shot, but Moore objected. The nurse gave her the shot anyway. It turned out the shot of insulin was meant for a neighboring patient and potentially put the health of both patients at risk. Specifically, Johnston’s job, which he says is a project of the Gordon and Betty Moore Foundation, is to be an educator, a monitor and a resource to prevent patients from getting hospital-acquired infections from improper use of ventilators, intravenous tubes, catheters and the like. In the status-quo health care system, such infections have come to be seen as somewhat of a statistical inevitability – even to the point where patients’ rights groups routinely tracked and reported their occurrence in various hospitals. “The culture and belief that infections are a part of a hospital stay needs to change,” Johnston said. He works as part of a collaborative system for higher quality by advising and teaching medical staff on ways to curb hospital infections. It’s a challenging and new role for Johnston, who’s worked as a nurse for 5 1/2 years. To be sure, Johnston’s gotten some push back already in his new job in the UC Davis Medical Center’s burn unit. But he’s prepared to tap into the communication and leadership skills he’s learned to overcome the skepticism. 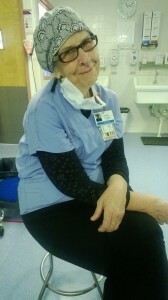 In honor of National Nurses’s week, Sherry R. Siegel, R.N., M.S.N., C.H.P.N, is featured in an article on GoErie.com, relaying her story of being a nurse over the past twenty years. Her story begins more than 20 years ago when she was a single mother with two children and lots of bills to pay. She was a waitress at the time and actually enjoyed that job, but the pay was not enough to give her family financial security (or health insurance). So she contacted a nearby college and asked the admissions counselor there what agree would be most likely to actually assure her a job. As a waitress she knew many people with college degrees who were nonetheless unable to find jobs in the area they had studied. The admissions counselor told her, “Be a nurse. You’ll always have a job.” She took that advice, and enrolled in the college, graduating two years later with an associate degree in nursing. She quickly found a job as a nurse, with a steady paycheck and health insurance, and then also discovered that she loved being a nurse. My first nursing job was in cardiology and then I moved to home care. After a few years I became a hospice nurse, which was where I needed to be. I loved being a hospice nurse and became passionate about a good end-of-life experience for everyone. I believe in the hospice philosophy of living as well as you can for as long as you can. Isn’t this what everyone wants? After 10 great years, I left hospice to become the palliative care coordinator at The Regional Cancer Center. I had learned so much during my time as a hospice nurse and hoped that I could use my skills and knowledge to help cancer patients maintain their quality of life while facing a life-threatening disease. While working with cancer patients and caregivers can be challenging and emotionally draining, it can also be rewarding. Cancer is a heartbreaking word and a life changing event for patients, their families and caregivers. Much can be done to address pain and suffering throughout the cancer journey if we take the time to listen. 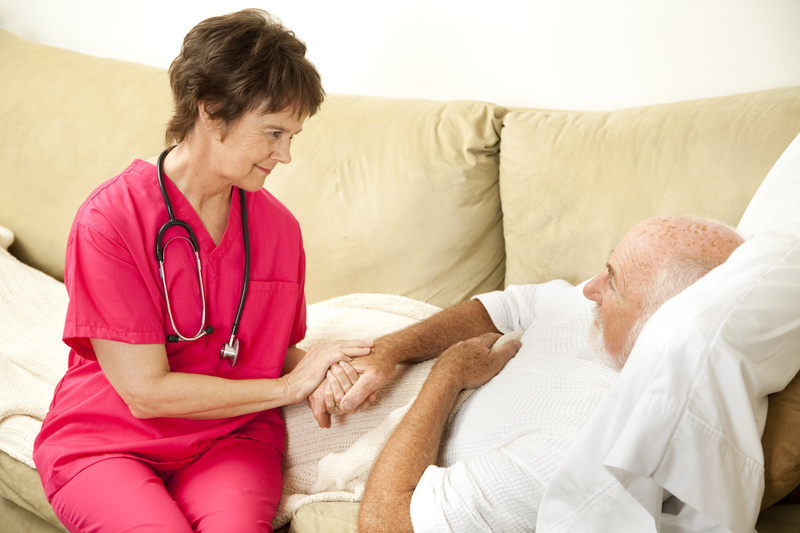 As a palliative care nurse I provide symptom management and extra support to patients and caregivers. Patients who have their needs met have fewer psychosocial issues, such as depression, stress and worry, and are more likely to complete their cancer treatments. This allows patients with a life-threatening disease to live as well as they can for as long as possible. Twenty years ago when I decided to be a nurse I never dreamed where this journey would take me. 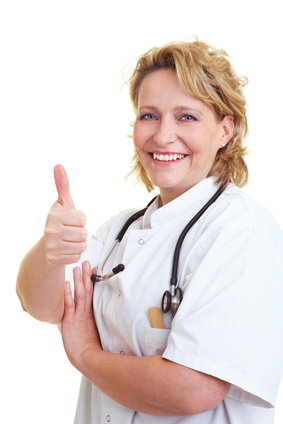 I have since received bachelor’s and master’s degrees in nursing and became certified in hospice and palliative care. I love being a nurse and knowing that the little things I do to improve quality of life makes a difference. Nurses are members of the largest health care profession and the ones who have the most contact with patients and their families. This makes us, as nurses, the front line for advocating for patients and families in a very complex health care system. Every day we have an opportunity to make a difference. Let’s recognize these opportunities, and then use our skills and knowledge to make a difference. Happy Nurses Week to all fellow nurses. Go out and do what we do best: Care! The White House is leading an initiative to improve health care for former troops and their families. The White House’s Joining Forces campaign includes an agreement with 150 nursing organizations and 500 nursing schools to educate nurses on combat-related injuries. 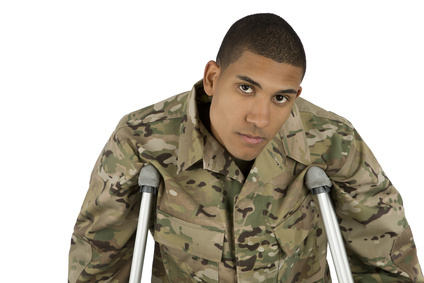 There will be additional coursework and training opportunities regarding injuries such as post-traumatic stress disorder and traumatic brain injury. The effort aims to reach 3 million nurses on the “front lines of health care,” as Joining Forces Director Navy Capt. Bradley Cooper is quoted as saying in this article in the Air Force Times. “The goal is to raise awareness among every nurse throughout the country to recognize the signs and symptoms and lower the stigma of getting care,” said Amy Garcia, chief nursing officer for the American Nurses Association. The White House estimates that 300,000 Iraq and Afghanistan veterans suffer from traumatic brain injury, PTSD or other combat-related mental health issues, such as depression. About half have sought care from the Veterans Affairs Department, leaving about 150,000 former service members seeking civilian care, Cooper said. Joining Forces is a campaign designed to raise awareness of the needs of military personnel, veterans and their families. It was launched a year ago this week. Obama and Biden will unveil more details on the new initiative when they speak Wednesday at the University of Pennsylvania School of Nursing. In January, Mrs. Obama announced a similar pledge by 135 medical schools to educate future physicians and increase research on what are commonly referred to as the “invisible wounds” of war — PTSD and TBI. Garcia said no federal funding is being used for the effort. According to Garcia, one out of every 100 Americans is a nurse. Many don’t work in fields where they would be exposed to head injury or behavioral health disorders. Educating all nurses on these injuries and illnesses would lead to better veterans’ care, she said. “We want to make sure they understand about new treatments and new science so they can make appropriate referrals,” Garcia said. The professional education and training opportunities that will be offered through the initiative will be voluntary, she added. Recruiters are looking for qualities similar to the ones that were important in nursing school, such as respect for the profession of nursing, cultural competence, reliability, and the ability to perform in high-stress situations. These sorts of attributes can be highlighted in effective letters of recommendation. Today’s competitive job market gives recruiters a choice to hire seasoned nurses instead of new graduates, but some still choose to hire new nurses. Anna Tigar, RN, an experienced nurse manager who supervises a fast-paced, 17-bed medical unit at NSLIJ Health System/Lenox Hill, said she is proud to uphold a policy of hiring new graduates. But nursing graduates are not expected to perform as expert nurses. “I’m willing to teach skills, and for new grads [those include] time management and setting priorities, but I won’t teach you how to conduct yourself as a professional and compassionate RN,” Bell said. Students should remember that letter writing is important on many levels. A prompt thank you note after an interview is an expected courtesy and a simple way for applicants to stand out from a large pool of qualified graduates. 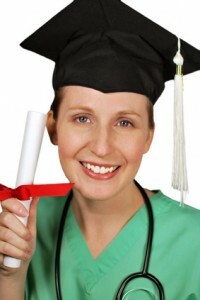 In the past, many nursing students had job offers lined up before or directly after graduation. But today, months may pass as new graduates wait for their applications to be processed and interviews granted, so innovative pathways to practice, such as nurse residency programs or externships, should be considered. Such programs are highly competitive, and solid letters of recommendation have the potential to help new graduates secure a position. Geraldine Varrassi, RN, EdD, nurse educator at NSLIJ Health System/Lenox Hill, oversees the Hillman Nurse Residency Program, a unique opportunity for students who have not yet passed the NCLEX to team up, full time, with a volunteer RN for eight weeks. She stressed the importance of the letters of reference as an integral part of the admissions process. Forming and maintaining professional relationships with instructors is an important step to securing letters of reference and is an important workplace skill. Varrassi shared some basic points students should follow.